What does the "Average review for..." show? 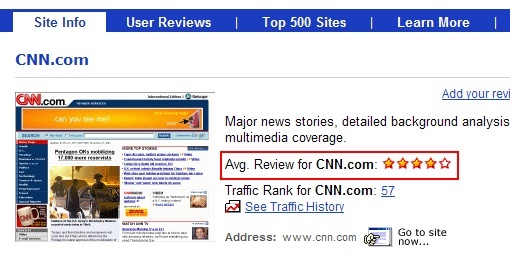 "Average Review..." is a general, star-rated review of the site based on cumulative user input. 5 stars are the best possible rating that a site can receive.